The Pacific Angler staff had a chance to sneak out for an evening fish on one of our boats on Sunday. 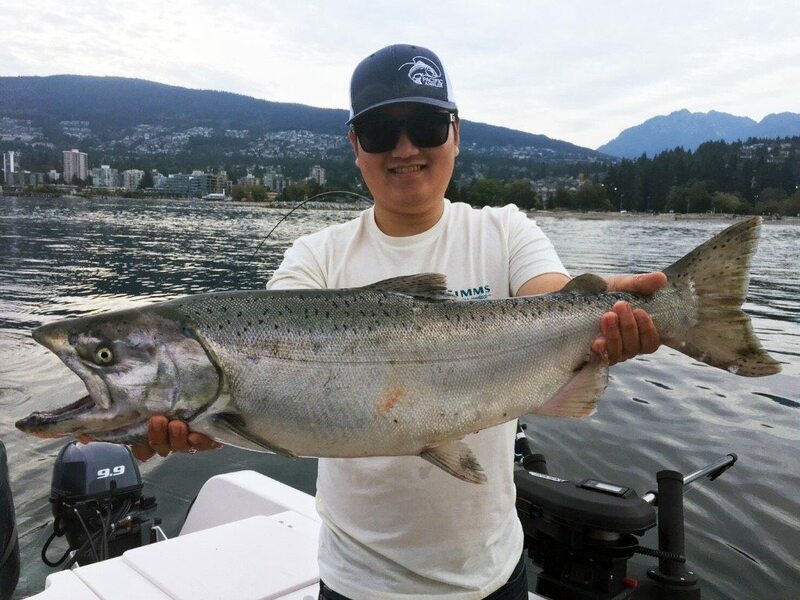 Dustin landed this nice chinook. Still a few chrome ones rolling in. 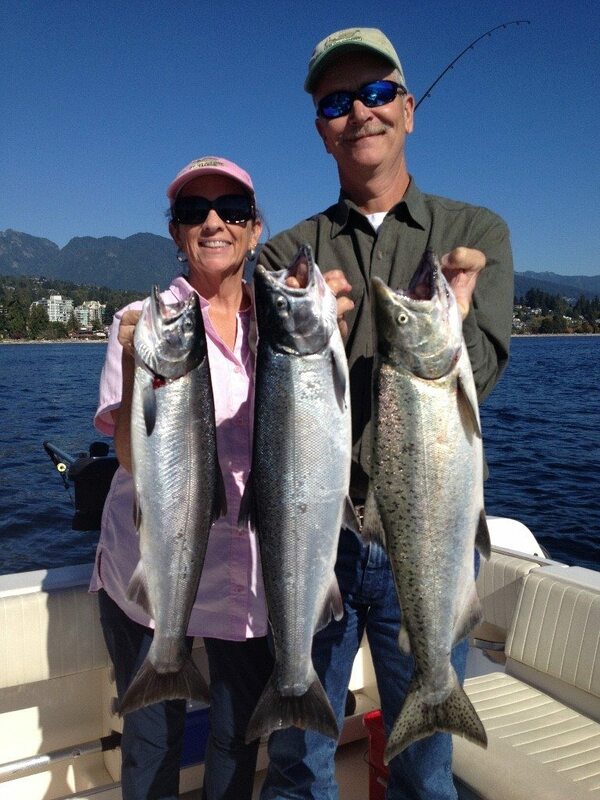 Eddie’s guests from yesterday with a couple of nice coho and a chinook from the Cap Mouth area. Down at the South Arm things have been relatively quiet as well. It’s hard to say if we will see one more push of chinook or if that is it for the year. We should see some more coho and chums showing up right about now and if you hit a good wave of coho it can be pretty active. Usually a mix of bait and white hootchies in the 30-70 zone on the riggers is productive. Remember you can only retain hatchery coho. Tom’s guests with a big one from earlier in the week. 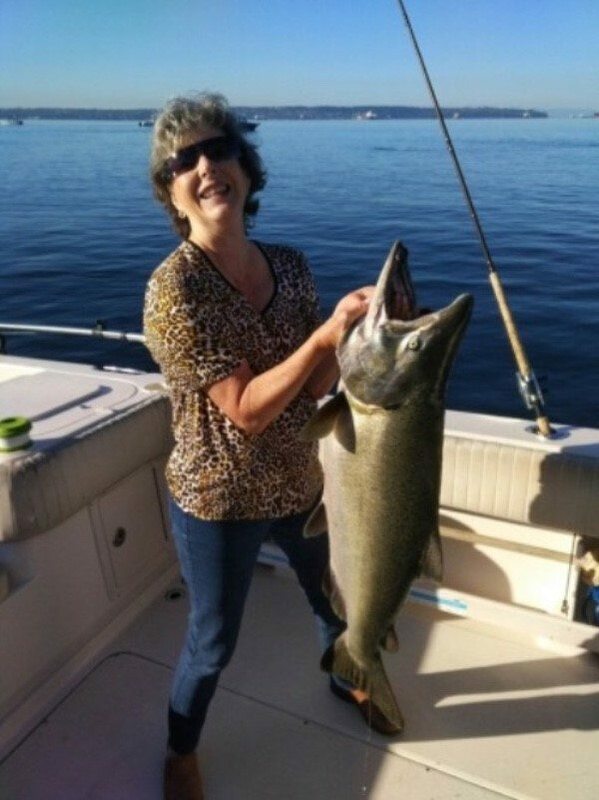 Not a bad “first salmon” of 26 pounds!